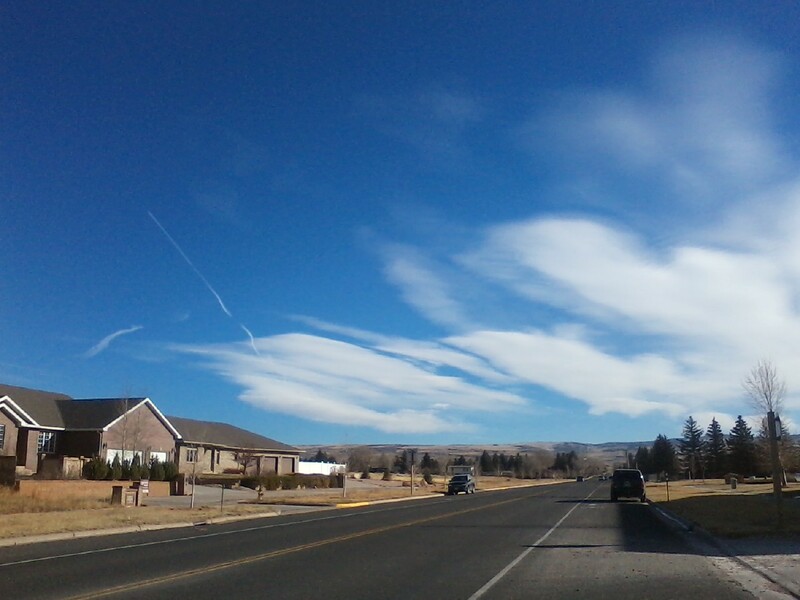 Contrails in the image, including the one immediately behind the jet, and the older one it crosses, develop waves as the airflow through the wave clouds carry them up and down. Northeast of Laramie, Wyoming. November 16, 2018 10:00 am MST.